Thanks for the hay and every way you help us! 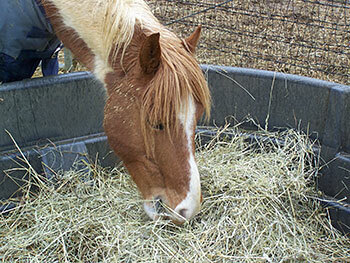 A special thanks to all those who have donated items, hay, grain, blankets, supplies, etc. to help the horses. Your generosity is very much appreciated! To River Edge Farm for their camp students raising $280 to help the Mylestone horses. Great job, thank you! Thank you to Colalillo ShopRite for generously donating a gift card for us to use for towards supplies for Open House. To Charlene Quarno who won a $250 Horsemen’s Outlet gift card at Help a Horse Day earlier this spring and d donated it to Mylestone for the horses! Warm Hearts, Warm Lives 4-H group generously donated many assorted baskets to our Open House silent auction which was a huge help with fundraising. The group also set up and sold items during the day at Open House. 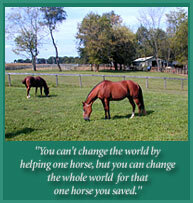 We are very grateful for all their support of the horses! Girl Scout Troop 90231 attended Open House and handed out information about saving Triple Crown and Southern States grain proof of purchase seals to benefit Mylestone. The girls also did this at our Help a Horse Day event in April and we have been getting envelopes full of labels mailed to the farm. We are able to redeem the proofs for grain and funds. Thank you! If we have accidentally omitted anyone, please accept our apologies - we are so very grateful for all you do for the horses!